David Lawrence was raised near the great ski areas in Europe and began his skiing career there. This experience laid the groundwork for his success as a competitor, Olympian and coach of American national team skiers. David Lawrence was an American who was born on April 15, 1930 in France where he was also raised. His father worked for Loews Corporation setting up a chain of movie theaters throughout Europe. His French tutor, Robert Martin, was a world class athlete who instilled competitive values in his young student. This along with extraordinary athletic prowess made Lawrence an excellent skier and a fine ski technician. He and his mother went to Davos each winter where he became an excellent skier. He entered Dartmouth College in 1948 and made the college ski team as a freshman. In 1949 he won the men’s giant slalom title at Slide Mountain, Nevada where he met Andrea Mead. During the 1950 season they both competed in the Sugar Slalom at Stowe, Vermont where their paths crossed again. Lawrence won the men’s division and Andrea won the women’s. In 1951, he skied the European circuit, as did Mead. The two were married in Davos, Switzerland after the ski season. They both continued to ski but his interest gravitated toward coaching his wife when he realized her great potential. He placed well in the Olympic tryouts in 1951 and represented the United States at the 1952 Winter Olympics in Oslo, Norway. Andrea Mead Lawrence won two gold medals at those games. The couple returned to the U.S. where David managed Pico Peak, VT for a time. In 1954 the family, now with two children, moved to a ranch in Middle Pass, Colorado. 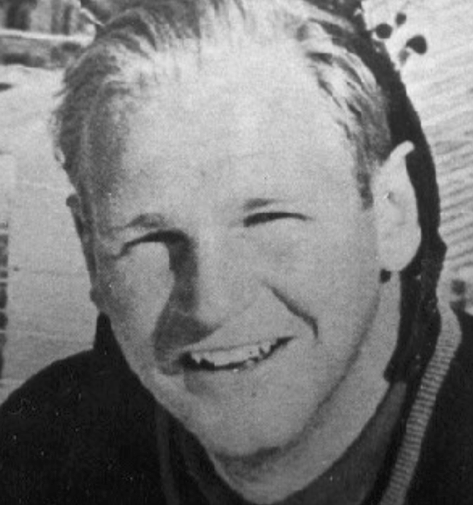 In 1955 and again in 1957 Lawrence coached the U.S. men’s team. In 1957, after a dispute over water rights, the Lawrences lost their ranch. Shaken at being wrenched from their home, they made a decision to move their growing family to Switzerland where he worked briefly for his father. Later they returned to the U.S.: first to New York and later to Aspen where they remained for four years, David Lawrence working in architectural design. In 1960 he coached and Andrea Lawrence managed the successful U.S. women’s ski team at the Squaw Valley Olympics. In 1965 they moved to California, separated and divorced. Their five children remained with Andrea. David remarried and in 1968, moved to Mexico where he lived until his death. He was elected to the U.S. National Ski Hall of Fame in 1966. If you notice any errors or inconsistencies in David Lawrence's bio, click here to let us know.